Starting the search for quality home care might seem like a daunting prospect, but for many families, it’s the preceding conversation that is the most difficult aspect of this decision. Accepting any kind of help is hard for many seniors, who have spent most of their lives taking responsibility and caring for others. 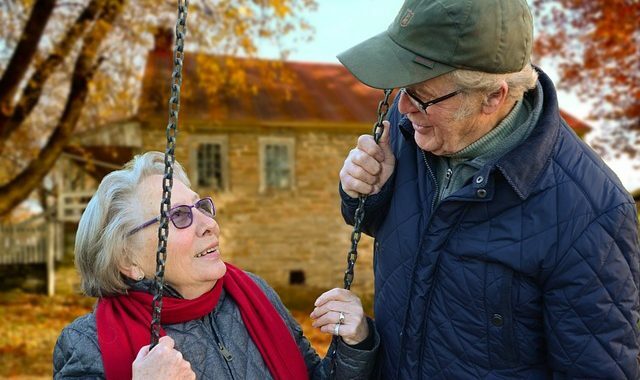 Whether it’s looking after their own children, friends or relatives, or simply taking care of themselves and making their own healthcare decisions, the prospect of losing any kind of control is understandably unappealing for anyone after a certain age. The reality, however, is that home care helps seniors to take back control. When the body or mind start to struggle to keep up with everyday tasks, staying alone only amplifies that effect. Having a resource on hand to customize care and support services as someone’s individual needs change is one way to maintain the quality of life that they’re accustomed to. 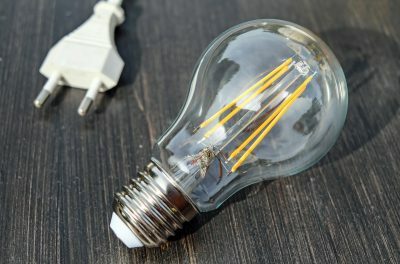 The challenge lies in communicating that benefit in a way that helps the recipient to feel empowered, rather than powerless. How Should I Start the Home Care Conversation? Start off by letting your loved on know how much they mean to you and that you care. This is the reason you’re starting the conversation about home care, because you want to support them in every way you can. It can be a very stressful conversation to talk about care for the first time, especially if your proposed solution is bringing in a professional home care service to help. Even the best caregiver is still a stranger to your loved one in the beginning, so it’s important to gain acceptance that they need help before you suggest an alternative. As people age, they want to maintain their independence and still be themselves, so they need to understand that home care is designed around that very desire. Snub the Stereotypes: Emphasize that any stigma associated with senior care is misplaced. Compared to the many types of care available, home care offers the best of both worlds: seniors get all the help they want and need, while still maintaining overall independence. Explain the Limitations: Understanding where a potential caregiver won’t be involved in their home life can be just as important to some seniors as where they will be helping out. Set boundaries from the very beginning, both to make your loved one feel more comfortable and, if possible, to reassure them that you will still be on hand to help them with more sensitive matters. Emphasize their Involvement: Take time to research together and share information on types of care available. In many cases, your loved one will be unaware of what is actually on offer and you won’t know exactly what they’ll find helpful. Working on a solution together is not only reassuring for your loved on, it helps you see what they need the most. Share Examples: If friends or family members already receive support it can help provide a real-world example of how home care can help. Look at Local Options: Even if you don’t have any personal examples to share, you can look at local home care services and information to make professional options feel more relatable. Take a look at our spotlight on home care in Los Angeles as one example and try to introduce similar local reference relevant to your area. When you take time to help seniors understand the many benefits of home care, the conversation becomes much less intimidating and can even become an opportunity to get closer to them. Another area you should be prepared for, as the conversation about home care continues, is any questions your loved one has about what home care might mean for them. You’ve explained the benefits of home care and have your friend or family member on board with the concept. Next, they’ll want to know what a professional caregiver means for them specifically, as an individual and in terms of life at home. Who will provide care services? Will it be one person or a team? How often will they be here and what kind of access will they have to my home? What if I only want family to help with certain medical or personal care tasks? What happens if I decide I don’t need any more assistance? What about if I need more help? What happens if my caregiver isn’t a good fit? Who should I talk to if a problem arises? Who will pay for professional home care services? These are just a selection of questions that someone might ask, so try to use them as a starting point. 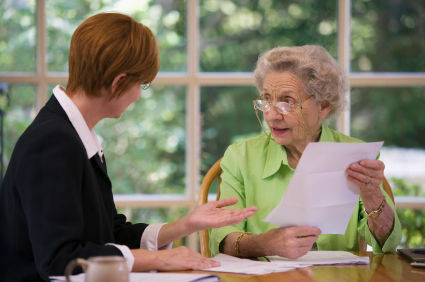 Put yourself in the position of your loved one, with their specific set of circumstances and tasks they find challenging, to understand their needs and anticipate the kind of questions they will ask you.You should continue to emphasize that the home health team you eventually choose is only there to help them with everyday life, as much or as little as they’re needed. 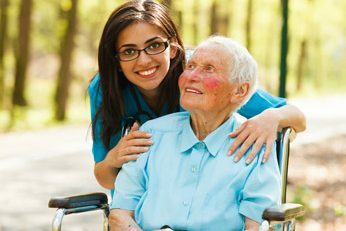 You should also continue to emphasize that the home health team you eventually choose is only there to help them with everyday life, as much or as little as they’re needed. And be sure to properly vet the provider you choose to avoid the risk of home care fraud and exploitation. The objective is to provide support that continues to make your home a safe and comfortable environment to thrive in, rather than the increasingly challenging place to live that it would be if they remain alone. As our loved ones grow older, it’s important to let them know that no-one is trying to take away their independence. Rather, you are trying to maintain that freedom and help them to continue living at home, as well as providing you with peace of mind that they have help when they need it. Once seniors understand why you’re suggesting this support and see the many options available, the conversation about home care will go a lot smoother. Involve them in the decision process and schedule informal meetings with prospective caregivers. By doing this, you make the transition that little bit easier for both you and your loved one. If you have extra advice on approaches to the home care conversation to offer our community, please share your suggestions with us on Facebook or Twitter. next post: What Does Non-Medical Home Care Cover?